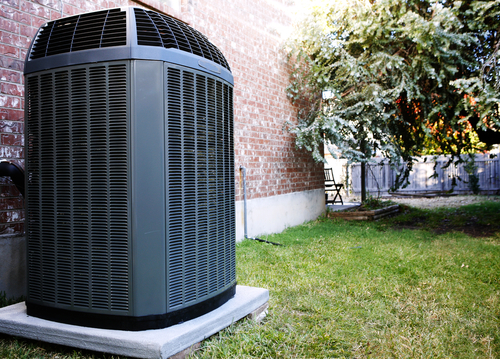 At Logan A/C and Heat Services, we understand that heat pumps are a vital part of your daily living. Since 1969, we have invested our skills and experience into repairing and maintaining heat pumps for Ohio customers. If you have a problem, count on our fast and friendly technicians to take care of it for you. Our repair service will get you back to feeling the warmth in no time, with peak efficiency that saves you money. Most of the time, routine maintenance from Logan A/C and Heat Services will help you prevent many heat pump problems you might encounter. Our maintenance packages can often root out trouble before it ever reaches the surface. At other times, you have to deal with issues that occur unexpectedly. Short cycling: If your heat pump is switching off without raising the temperature, it might be cycling off too quickly due to a problem in the system. 10 to 12-plus years: Older heat pumps often show signs of wear more easily than new machines because they’ve been used to heat and cool your home, taking on stress from both seasons. Skyrocketing energy bills: Look at last year’s energy usage and compare it to this year. If you are paying a lot more, you need a professional to help you find the cause. Ineffective heating: A home that feels unnecessarily or inconsistently cold may have a problem with the heat pump or the ductwork. Strange noises: Clicking, rattling or banging sounds from your equipment could be an indication of a big issue. Request an inspection as soon as possible after you hear it. Difficulty switching: Heat pumps are supposed to switch from cooling to heating and back. If yours refuses to turn to heat, you need help fixing it. What Does Heat Pump Repair Cost? When your heat pump breaks down, the cost should be the least of your worries. At Logan A/C and Heat Services, we aim to make all of our work easy to understand, with competitive pricing and a satisfaction guarantee. We proudly service all brands. If your repair calls for heat pump replacement, we are delighted to discuss our financing options with you. Still wondering, “Where can I find heat pump repair near me?” You may find your community on our list. For emergency repairs, call 1-800-564-2611. We are accessible 24 hours a day, seven days a week. When your heating is out, you need a caring professional like Logan A/C and Heat Services. To learn more about our maintenance plans or schedule heat pump repair, contact us today.